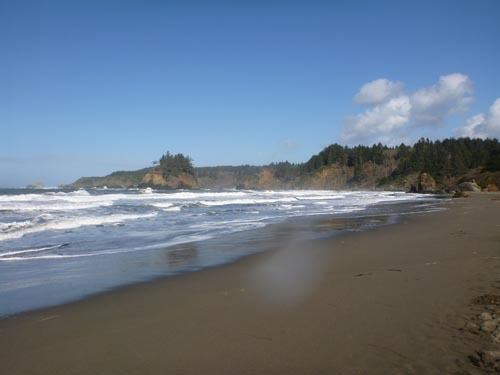 I love traveling, I truly do, but one thing that traveling does for me is it makes me appreciate home, my friends and Trinidad, California, my home waters. 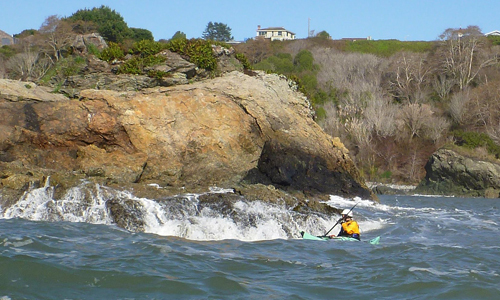 After the Golden Gate Sea Kayak Symposium earlier this month, I took the rest of February off, to enjoy being home. 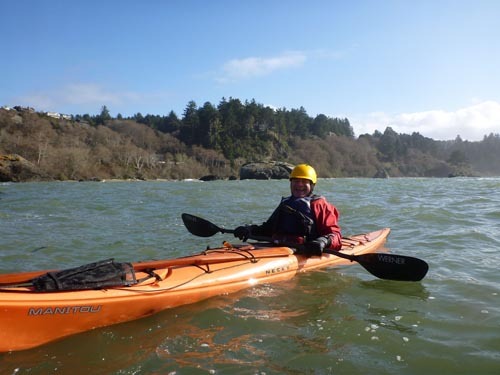 For Mark and I, kayaking “season” gets busy again starting next month, so I’m soaking up as much of home as I possibly can. 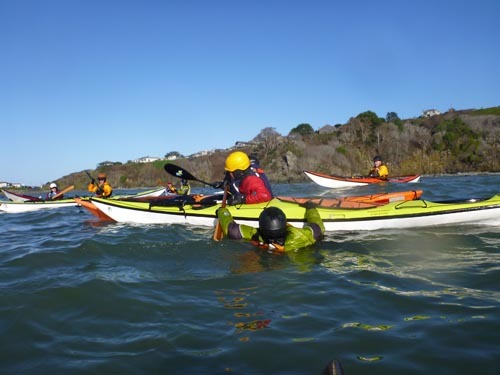 Last Sunday our local kayaking club, Explore North Coast, had a rescue practice day at Trinidad. 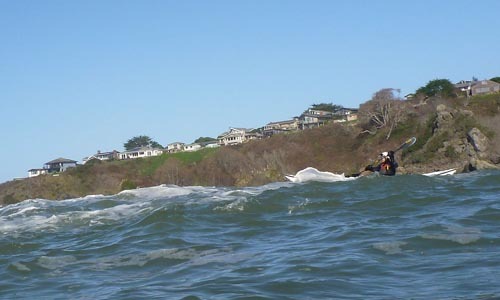 Conditions were a little wonky, to say the least, with forecasted swells of 14 feet at 13 seconds. One thing that’s nice about Trinidad though is that it has both a harbor launch and a surf launch, so there’s usually a way out no matter what the conditions. In the nine years I’ve been paddling here, I can only recall a couple of days when we were unable to launch and went for breakfast instead. 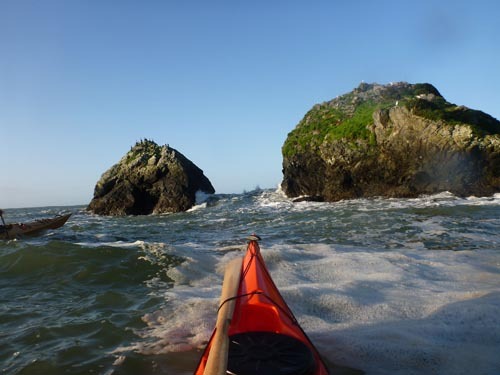 I met my paddle pal Michael Morris for a before rescue practice paddle, and the two of us headed south to go around some of the larger rocks. This was not a good day for rock gardening, and as we went around one of the larger rocks we had to pick up the speed a little as a large swell started to crest. As we dropped down the other side I couldn’t help but smile. I LOVE Trinidad. 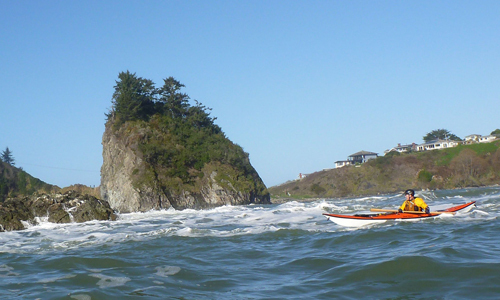 Prisoner Rock, our gateway to the ocean. After going around a few more rocks and stopping to watch the waves crash in amongst others we headed back to the beach to meet up with the Explore North Coast group. We didn’t land, but instead sat back and watched as everyone made their way out. 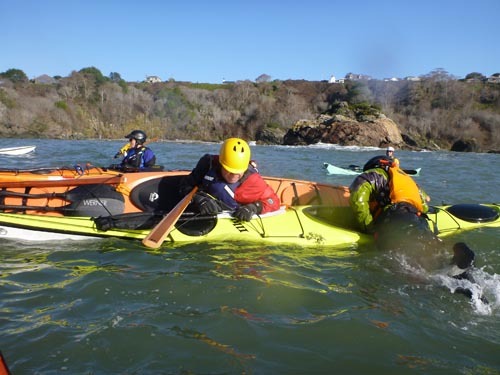 Mike Zeppegno and Damon Maguire were the hosts of this paddle, and they had several exercises for people to practice, including both assisted and self rescues, as well as rescue scenarios in rocks using both towlines and swimming. All in all it was a great day to practice skills, but an even better day to be home, on the water and with friends. Trying out my new Jeff Allen towline. Learning what works and what doesn’t. Larry is magnetically drawn to rocks. Marcella hops over some incoming set waves. It’s always nice to have coffee at the Beachcomber Cafe after a morning on the water. 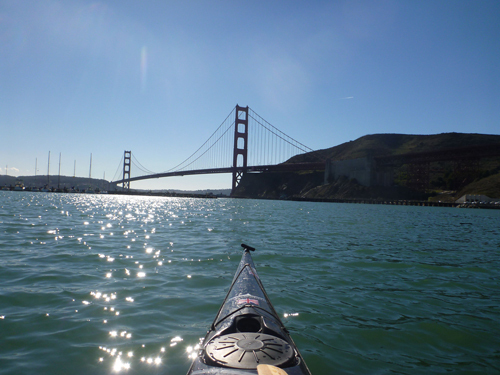 Last weekend I headed to the San Francisco Bay Area for the Golden Gate Sea Kayak Symposium (GGSKS). This was the event’s sixth year, and I’ve been lucky enough to have been at each one. 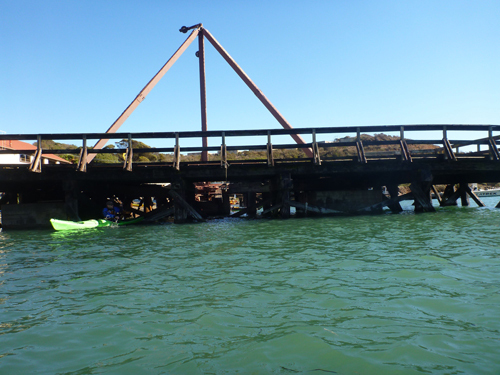 The GGSKS is an open water event that takes place under the Golden Gate Bridge. The Golden Gate Bridge provides a spectacular backdrop for the symposium. This year’s event had more sign ups than any other year, and spirits were high as the sun shone brightly the first day. Throughout the weekend I instructed two days of Bracing and Rolling and one day of Fun, Balance, Games and Rolling. One thing that I always enjoy about the GGSKS is working with instructors that I haven’t worked with before. 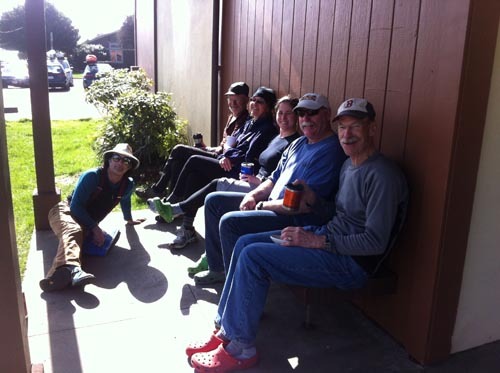 I had the opportunity to run classes with Jarrod Gunn McQuillian, David Johnston and Cindy Scherrer. Clear skies and bright sun filled the first two days, and on the final day the rain and the wind arrived. 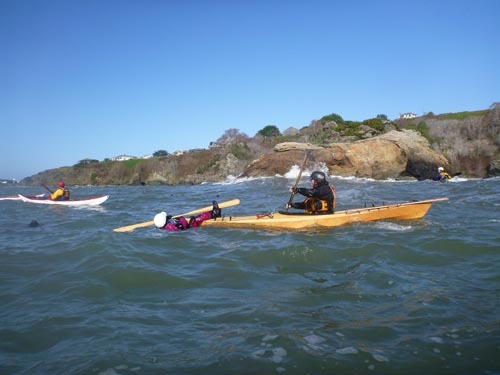 This was good, as California is in a drought, and participants celebrated the much needed rain by spending the day playing in it on the bumpy water. There are many ways to practice balance. 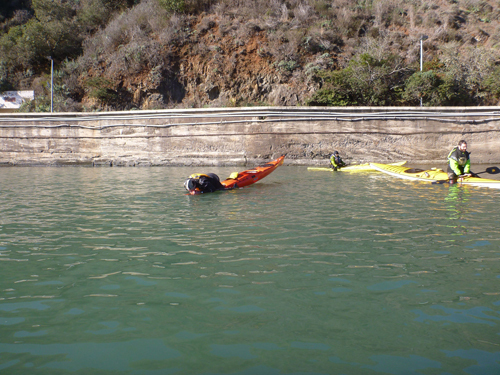 The dock was a great place to practice maneuvering strokes. This year’s keynote speakers were Erik Boomer and Sarah McNair-Landry. 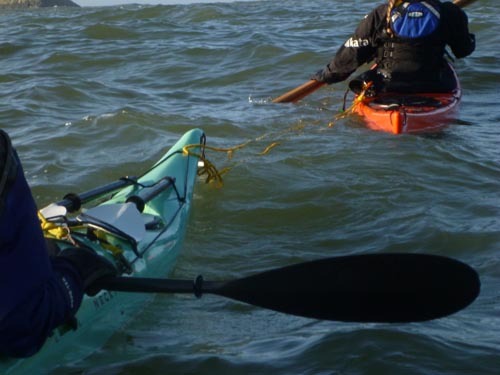 Their presentation was on a 65 day, 1,000 km journey across Baffin Island in traditional skin-on-frame kayaks that they built for the expedition. 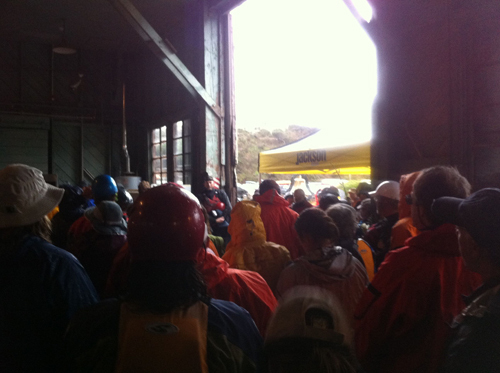 Everyone gathered indoors on Sunday for morning announcements. Much needed rain, and a little wind, waited outdoors. 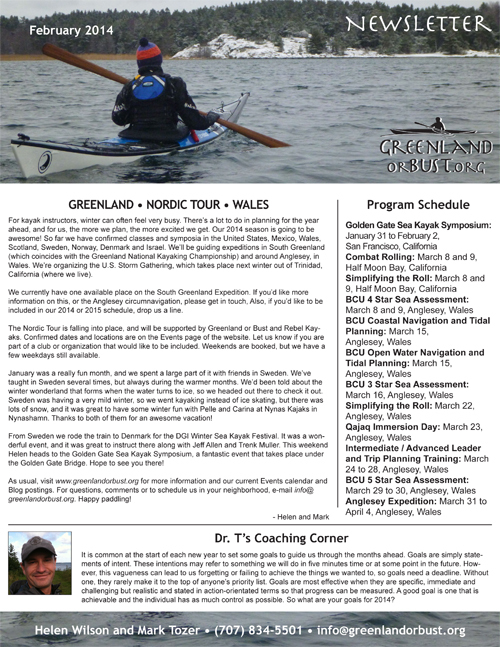 The GGSKS is an open water event, with classes that are designed to challenge participants. Once again, Sean Morley and Matt Palmariello did a fantastic job of putting everything together. This year’s event hosted both new and previously popular classes. It was great to catch up with participants, coaches and staff. Thanks to Sean and Matt for having me there once again, and to Riley and his assistants for keeping everyone so well fed. It’s always great to catch up with everyone. 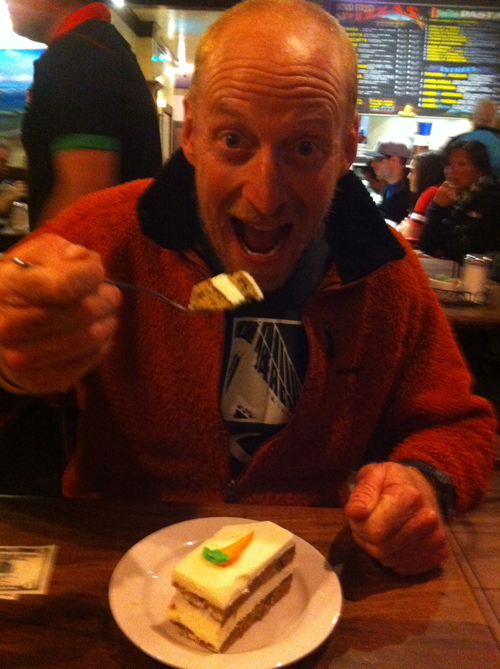 Here Ben Lawry enjoys dessert after a busy day on the water.